Go sightseeing in fictional cities all over the world. 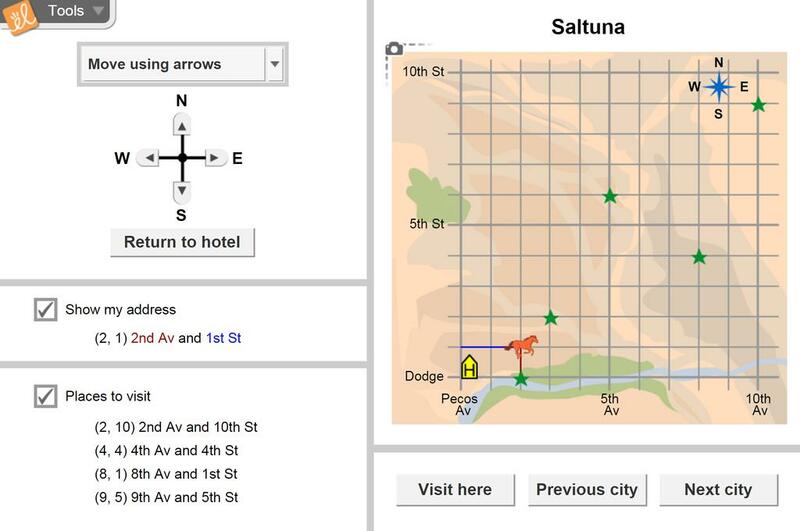 Learn about coordinates on a graph by navigating around these cities on a grid-like city map. Some landmarks are shown on the map. For others, you are only given the coordinates. Can you find all of them? Describe the position of a point on a city map based on its avenue and street. Write coordinates as an ordered pair. List the coordinates of a location on a grid. Given the coordinates of a point, move to the correct location on a grid. Contains sample question stems, various response mechanism types, and Gizmo suggestions for teacher and s... (more)tudent use. State of Florida - MAFS Florida Standards Assessment - Gizmo Resource for Grade 5. Contains sample questi... (more)on stems, various response mechanism types, and Gizmo suggestions for teacher and student use. The students loved finding out what was at each location. This Gizmo helped students understand the real world application of using a coordinate grid plane.